Leadfeeder sees major potential in utilizing web analytics in making other sales and marketing systems more intelligent. Last week, the Helsinki-based startup announced the closure of a €530k seed round led by Finnish investors Superhero Capital and Vendep. The funding will be directed towards Leadfeeder’s expansion into new markets, tripling its workforce, as well as research and development for its next-generation analytics-based sales automation. Leadfeeder is a Google Analytics Partner. Their technology provides a tool for B2B companies that uncovers website visitors and turns them into sales leads. Jaakko Paalanen, Head of Partnerships at Leadfeeder, explains how salespeople tend to have very little information about how potential and existing customers behave online. Leadfeeder aims to change this problem. “Companies are currently using analytics only for marketing purposes, such as marketing automation and account-based marketing. It gives them the right timing and better understanding of their prospects. It shortens the sales cycle through the use of hot leads instead of cold contacting. Analytics-enabled teams have reported a 15 per cent increase in sales representatives who reach their individual quotas,” says Paalanen. Leadfeeder was founded in 2012 by CEO Pekka Koskinen, CTO Herkko Kiljunen and Senior Programmer Vicent Llongo. In 2014, the first version of Leadfeeder was launched. Today, the international team of Leadfeeder consists of seven people from Finland, Spain, England and Scotland. The team behind Leadfeeder has a strong background in web analytics, as they helped the web analytics company, Snoobi, become one of the fastest growing tech companies in Europe. “We understand sales and B2B sector really well, which enables us to compete globally. Basically we’ve done this once already on a smaller scale. Now we know what to do and what not to do to make it big on the global scale,” Paalanen continues. The latest funding round enables Leadfeeder to focus on expanding into new markets and tripling its workforce in Helsinki and remotely. “We have customers around the world, and already 80 per cent of them are outside of Finland. This year we’re focusing more on the Nordics, UK, Central Europe and the U.S. Remote work is really important for us and we are perfecting that,” states Paalanen. Moreover, the funding will help Leadfeeder focus on research and development for its next-generation analytics-based sales automation. “We are building a next-generation analytics-based sales automation, which means that we are creating further integrations for different CRMs, databases and for example email-marketing automation platforms. The big picture is that whatever tools you use, with Leadfeeder you can bring all of that data together, automate the whole process, give salespeople easy access to utilize it, and get better leads for better sales,” Paalanen explains. The potential in data-driven sales seems to be tremendous. “Firstly, over 53 per cent of companies that have a website are using Google Analytics. Furthermore, marketing and buyers have evolved into the digital era, salespeople are now ready to use these kinds of tools, which makes the market potential huge. In 2016 we’re going to see more and more how the digital world disrupts sales, and Leadfeeder is going to be a key part in that,” Paalanen concludes. We are waiting to hear for more future news from Leadfeeder. 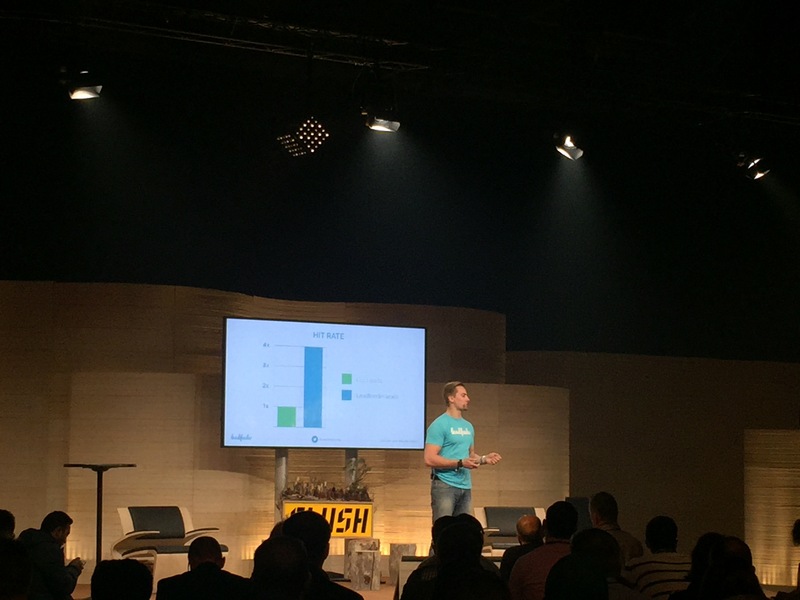 Meanwhile, here’s a video of Paalanen giving his pitch at the 2015 Slush 100 Pitching competition, where they finished in the top 20.